Make sure to wish your loved ones this month! 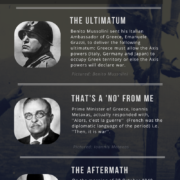 Infographic design & information compiled by Eugenia Pappathanassiu. A new month and the start of Spring. 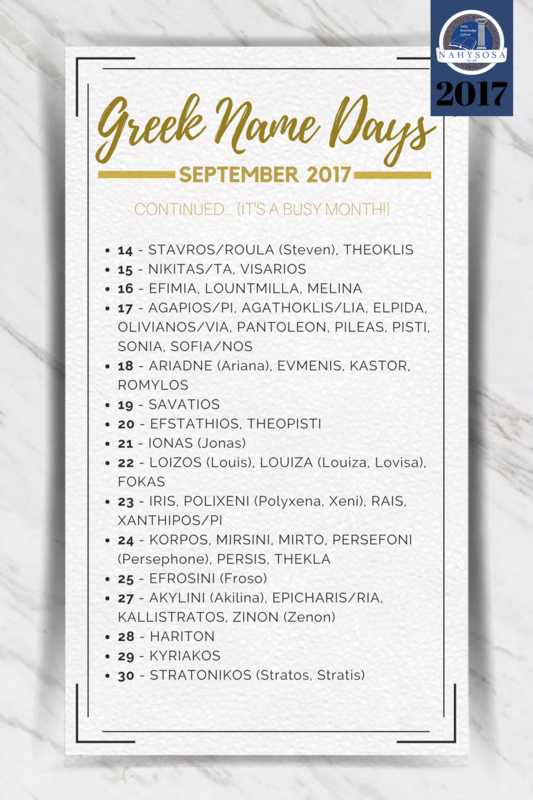 A month filled with many celebrating their Name Day. Make your yia yia’s proud! 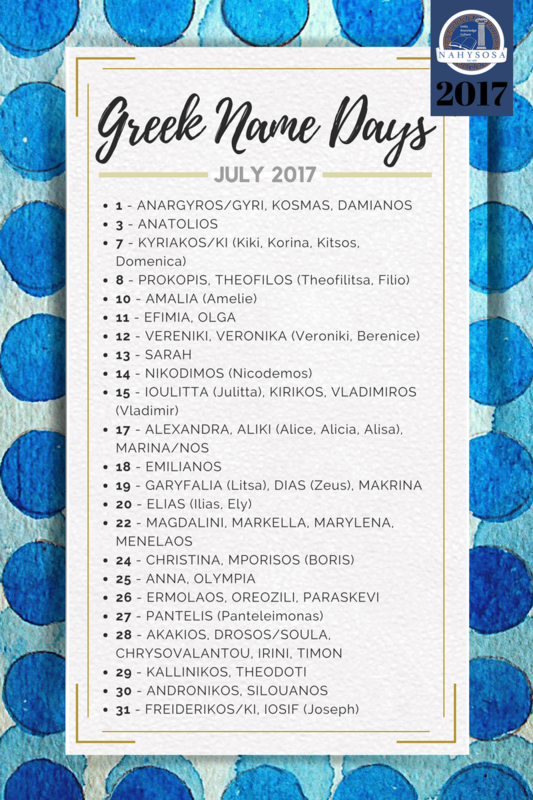 All the name days being celebrated in July! Keep an eye on the dates to make sure you wish all your family and friends. Happy July! Has your mama opted to take a personal day this Mother’s Day by not whipping up her typically sumptuous Sunday spread? 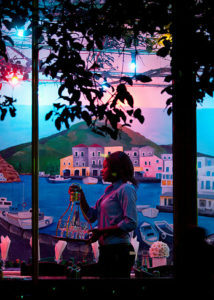 If so, why not recreate a similar ambience by spoiling her and taking her to one of these Greek restaurants near you? 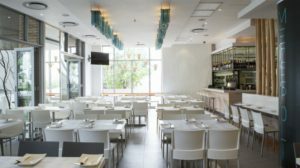 Have a look below at some our restaurant picks across South Africa! Click on the name of the restaurant to be directed to their website to see more. 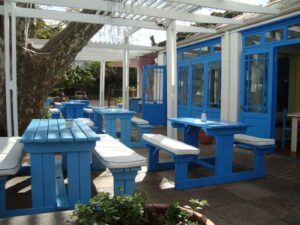 An afternoon drive to Spiro’s in Hout Bay guarantees customers an open-armed welcome by Spiro himself to his laid back establishment. 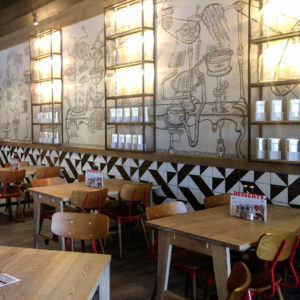 A family-orientated appeal and a play area for the little ones top off a dining experience comprised of sizeable portions and well-priced wine. 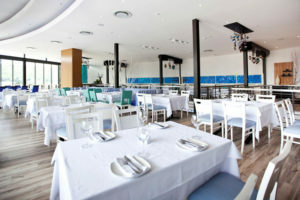 The Cycladic decor and stone-clad deck have often prompted customers to confuse the Atlantic for the Aegean. 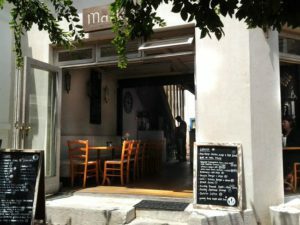 Dining amidst the fairy-light adorned trees of Maria’s Greek Cafe resembles a romantic sunset picnic on a Mediterranean olive farm. If the family chooses to forgo this restaurant option on Sunday, why not bring a date to this rustic retreat? 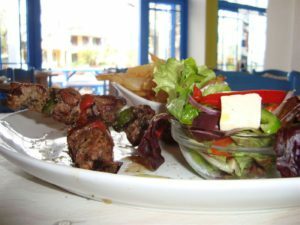 The anti-haute cuisine and acclaimed starters serve as the ultimate complement to some great conversation and could secure a ‘’nice Greek boy/girl’’ for mama. 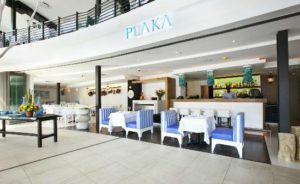 Many tourists flock toward this hotspot to dine amidst breathtaking views of the waterfront’s harbor and Table Mountain. 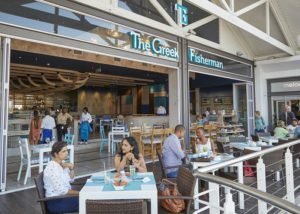 With uplifting blue and white decor and an excellent location, the Greek Fisherman also serves as a suitable setting for sundowners. Check out their Mother’s Day special on their website! 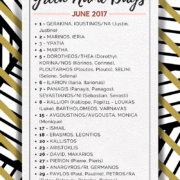 Parea possibly adheres most to the traditional, village-style theme of Greece and Cyprus on this list. Bright and bold colours with rural decor mimic Mediterranean seaside landscapes and the welcoming nature of the owner and the staff mimics the warmth of Mediterranean homes. 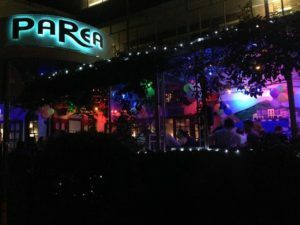 Indulge in Parea’s festivities to experience a taste of its extensive vegetarian menu as well as some plate-breaking and belly dancing on selected days. 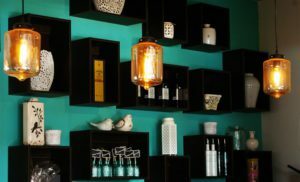 A chic and trendy take on Mediterranean cuisine characterises Mezepoli, also known as the ‘sister eatery’ of the previously mentioned Plaka. Daytime corporates and after-sunset fun seekers frequent Mezepoli to feed off of the signature fusion cuisine. 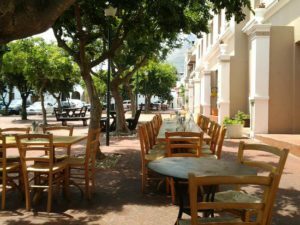 As the name suggests, meze-style dining is prevalent, ensuring a small taste of everything complemented by the restaurant’s budding social scene. Yet another ‘no fuss’, ‘no frills’ dining experience with a small town sentiment i.e. the Greek Sizzler. 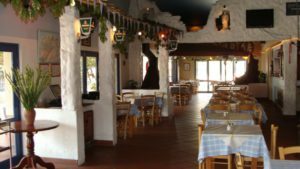 This restaurant resembles a large-scale version of having dinner at your yiayia’s house with its extensive fireplace and folk tunes lulling in the background. 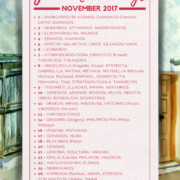 Their melt-in-your-mouth kleftiko and cosy atmosphere are perfect for a winter’s evening, but don’t be fooled – a courtyard closed by a wall of bougainvillea transports one to suppertime on an island with those cousins from Athens that you haven’t seen in years. This twisted version of Greek street food complements the South African palette so, so well. The establishment boasts an urban appeal with reasonable prices and plentiful portions, but don’t let that fool you. It is often very occupied and sometimes requires a booking during peak hours. Do not leave without trying their less than traditional yet very decadent ‘Vaflaki’ – a concept pertaining to ‘’mini waffles’’ which was first introduced in Greece. 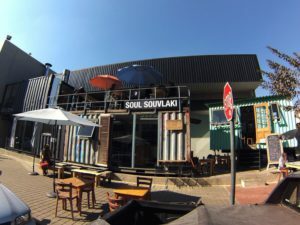 Soul Souvlaki defines the urban interpretation of Yiayia’s cooking and is nestled in the heart of the trendy Maboneng Precinct a.k.a. hipster central. 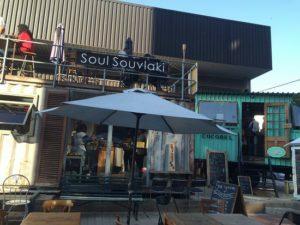 It is fitting, of course, that this eatery is situated in an old shipping container with a charming antique kitchen that produces mouthwatering tzatziki. Grabbing a bite here is a bargain but doing it while experiencing post-modern graffiti, chatty markets and artists painting or taking photographs is priceless. 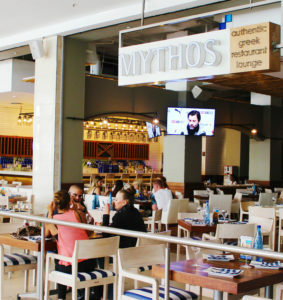 When planning a Sunday lunch, one place comes to mind: Mythos. 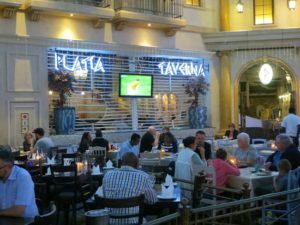 This multi-award winning franchise features 10 restaurants in the Gauteng region. 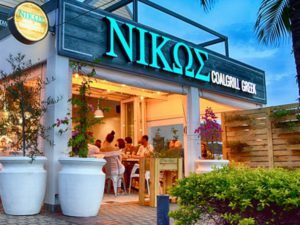 The items on the menu are inspired by the head chef’s family recipes, and she insists that all key ingredients are imported from Greece. 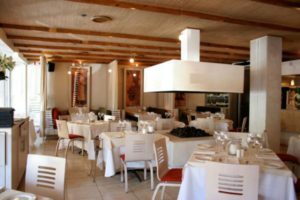 Each restaurant is exclusively designed in clear-cut Grecian contemporary style, which is perfect for authentic al fresco dining. 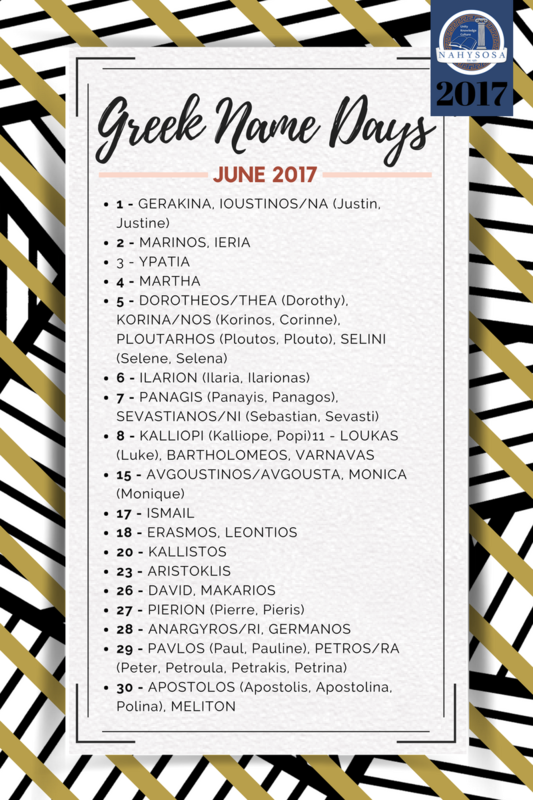 Situated in Emperor’s Palace, Platia affords its customers the opportunity to take a trip from Rome to Mykonos in an instant. 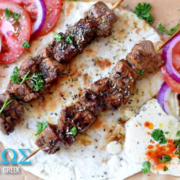 Enjoy a classic Greek meal and Mediterranean hospitality in a modern setting with the occasional entertainment such as belly dancing, traditional Greek dancing and plate breaking. This restaurant’s location also makes it convenient for yiayia and pappou to indulge in a little gambling sesh after their meal. 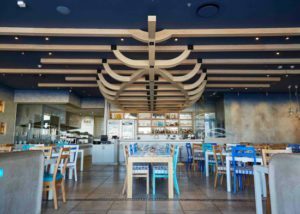 Replicating the minimal architectural styles of Santorini, this franchise incorporates all the elements necessary for unpretentious Grecian dining. Picturesque tones of white and dashes of blue exude a sense of belonging and calmness. These guys take their heritage very seriously, and it shows in the quality of food and undying filoksenia towards their customers. Prosopa, meaning ‘’faces’’, may be witnessed in excess at this intimate restaurant. 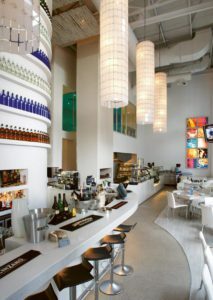 With its upmarket appeal illuminated by candles and elegant decor, it is no wonder that customers keep returning. Look out for the manager whose succinct food and wine pairing skills mobilise the overall dining experience. Visit Toula if half of the family is feeling traditional and the other half is looking to expand their palettes in a more eastward direction. 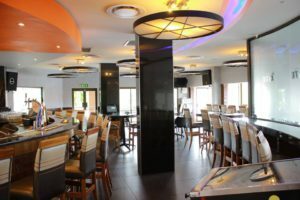 This one of those places that is considered a jack of all trades with a Greek restaurant, a deli selling mediterranean products, a children’s play area and a sushi bar called Chop Chop Sushi. Imagine the convenience of having a hearty meal and then not having to go out of your way to pick up some imported olives and kefalotyri for yiayia. 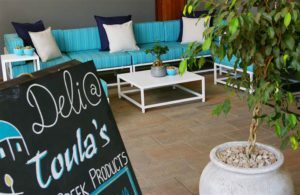 This little slice of Hellenic authenticity recently hit the shores of Durban in March this year. 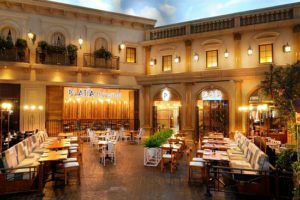 The upbeat energy and cool interiors splash onto the pavement, mirroring a sought-after European feeling and the attentive staff will certainly ensure a first-class feast. 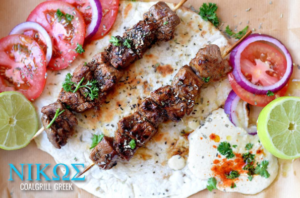 Drop by NIKOS if you’re in the mood for a quick gyro or if you want to spend quality time with friends and family. Check out their Instagram account, if the pictures don’t have you drooling – then we don’t know what does. Let us know your thoughts on these restaurants in the comments below! Or let us know if we left any of your favourite restaurants off! 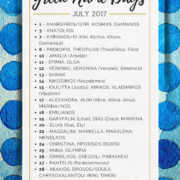 Article written by Eugenia Papathanassiu – NAHYSOSA Editor. All images belong to Google/Instagram. 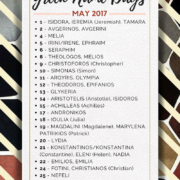 Never forget another Name Day! 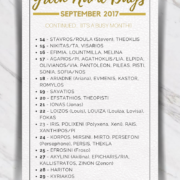 Introducing our first editorial piece that will be published monthly – our Name Day Calendar. 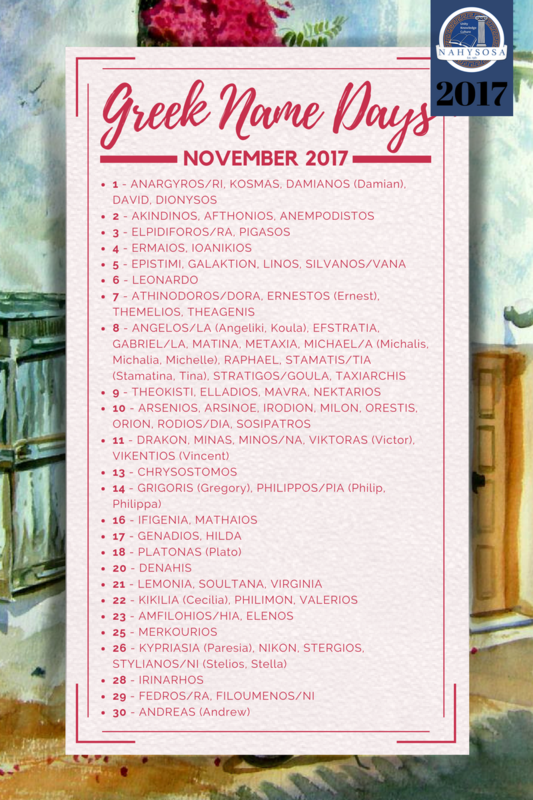 How often do you find out it is your own name day because your ‘yia yia’ from a village in Cyprus calls you to wish you? 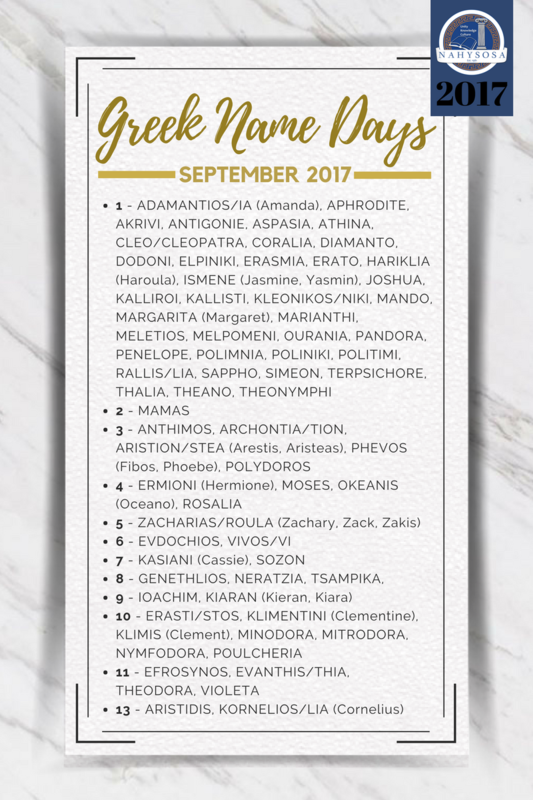 This no longer needs to be the case as we promise to update you monthly on the name day celebrations for the month so you can wish your family members and friends! 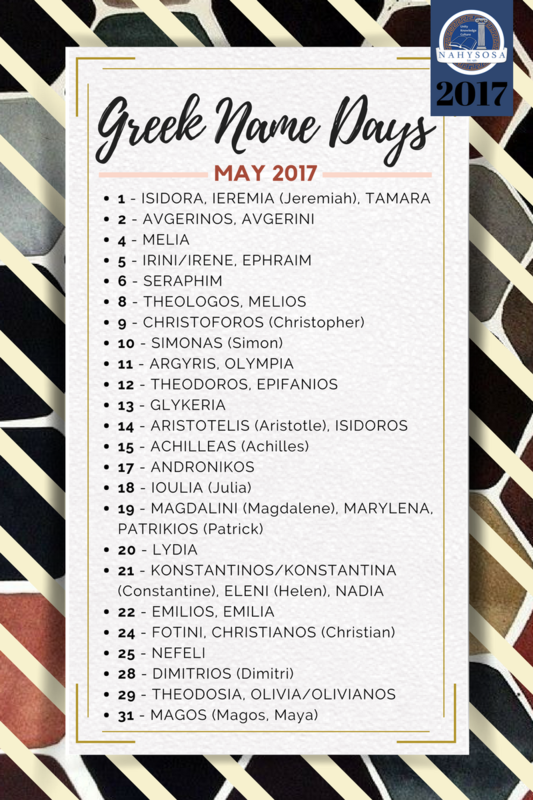 Happy name day to all those celebrating in May!